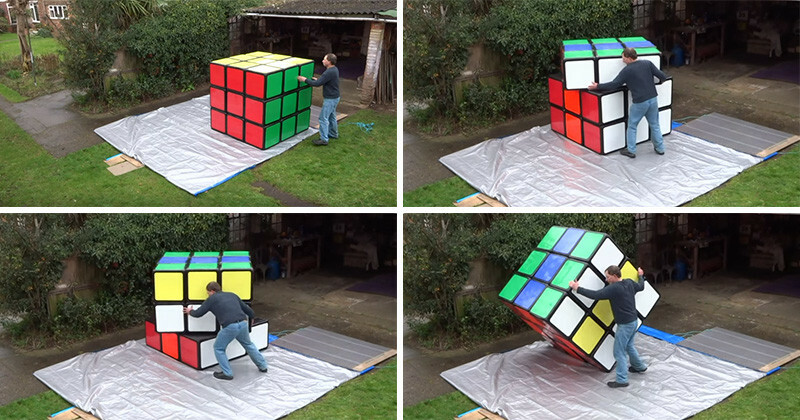 Twisty puzzle creator Tony Fisher, has created what he claims is the world’s largest working Rubik’s Cube. The recently completed cube, took a few weeks to build, is about five feet wide, weighs approximately 220 pounds, making it even more difficult to complete compared to a normal handheld Rubik’s Cube. Tony mentions, “Although I am confident that my puzzle is indeed the world’s largest Rubik’s Cube, at time of writing it has not yet been accepted and there isn’t actually an official record.” Hopefully that will change for him when he applies to the Guinness Book of World Records.